I work at the Indiana University library, and this is one of many treasures I’ve found in the stacks. I think some graduate students who work in the carrels upstairs had a bit of a nerdy love connection going on. 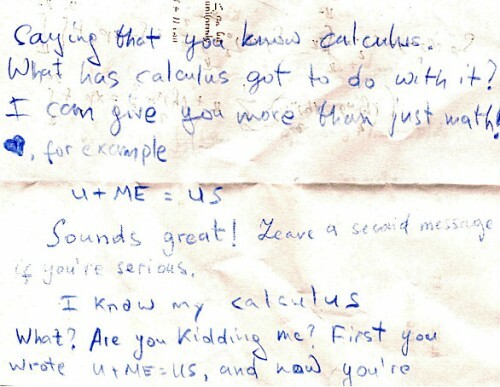 This piece of paper was folded in half over a lengthy calculus problem; but, there’s so much more than math! I hope they found it with each other!